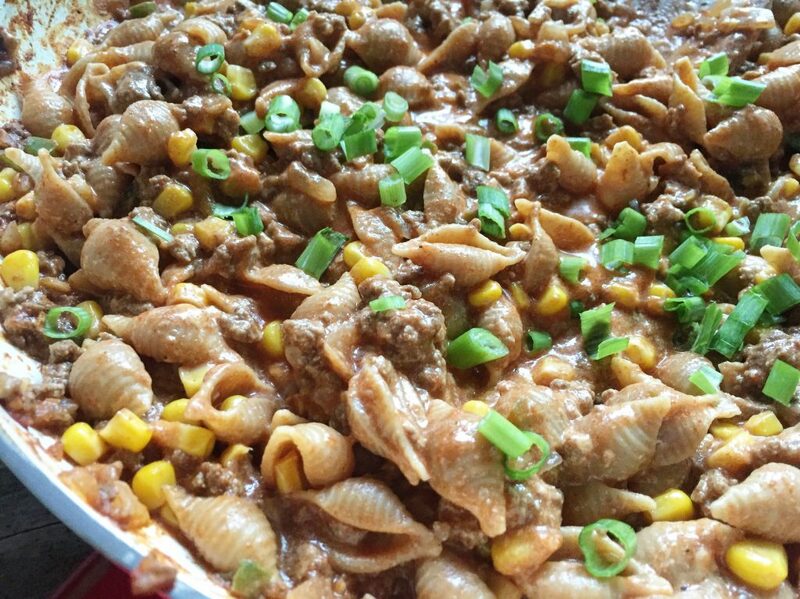 Oh my gosh… This Skillet Chili Cheese Mac is so very delicious, y’all! 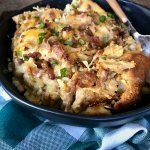 This recipe started out as an “I’m sorry for what I said when I was hungry” meal for Eric to have when he came home one night from work. I was super grumpy because I didn’t feel like cooking, which is weird. I was just hungry and I wanted food to magically appear in front of me without having to leave my house or move from the couch. Well spoiler alert, that didn’t happen. I normally don’t cook chili or even attempt to. Chili is actually Eric’s area of expertise… he makes a mean chili,and I really, really love it! Except, well… I’m about to share something with you all today, and here it is. I HATE BEANS. I hate the dang beans in chili too. I just hate beans so much! But the flavor of his chili is soo good that I will dutifully eat some every time, beans and all. The kidney beans though? NOPE! If I was a toddler, I would fling those suckers onto the wall. 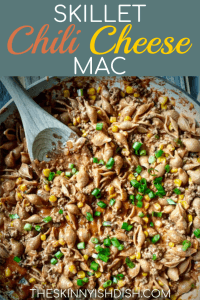 This Chili Cheese Mac Skillet has all the wonderful flavors of delicious, hearty, homestyle chili thrown together with a couple of my favorite classics, pasta and Cheese. I decided to try my hand at this skillet a few weeks back now… and you know what? The first time I made it, I did my normal “let’s just forget to measure everything”, so I had no idea what amounts of the spices I used, and it was too delicious. Eric ate almost the entire thing that evening. I kept going back to pick at it after dinner, I couldn’t help it. The next time I cooked it (this time making sure to keep track of what spices I used, and how much) I accidentally used like a tablespoon of pure ground cayenne pepper because I wasn’t paying attention to the labels…Whoops! Whatever you do, don’t do that. The underlying taste was still delicious, but try as we might, we just couldn’t handle the spice. Okay then came the third time, perfect again. So, here’s that version for y’all. It’s so delicious, and so filling. so perfect for these crisp cool Autumn Eves. I’ll probably eat chili this way for the rest of my life now. 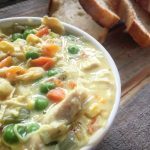 This is the perfect option for those Sunday Football parties that all will rave about, lighter on calories (or points for my weight watchers gals! 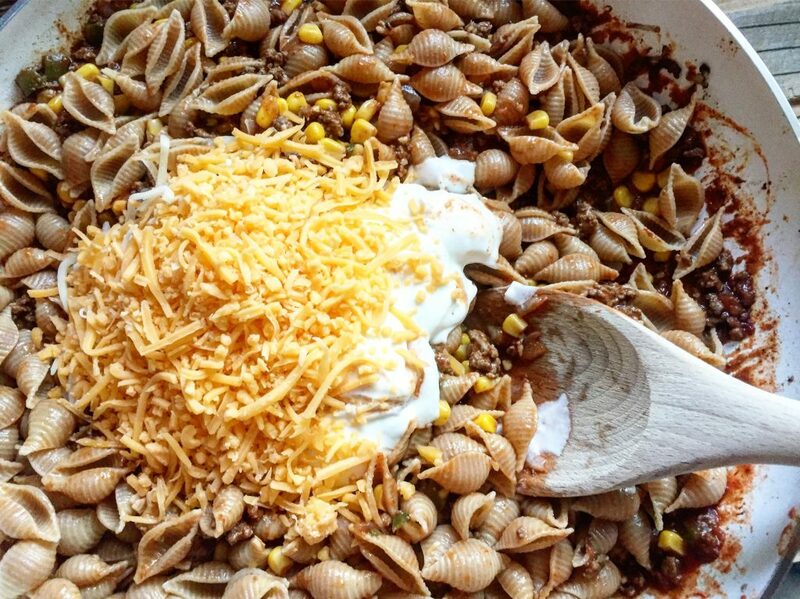 ), big on flavor- a big bowl full of creamy, cheesy, and spicy America. So here’s what happened in the kitchen the first and third time (but not the second time). 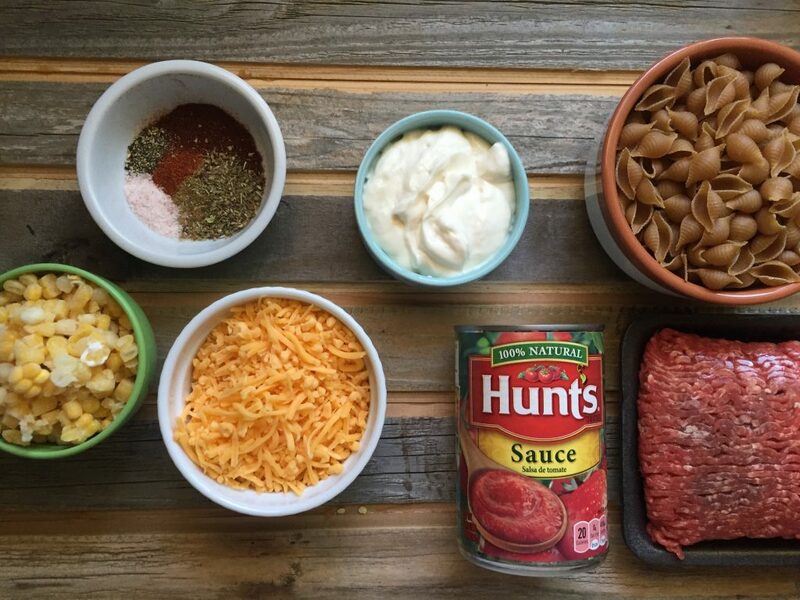 Grab up your ingredients- spices (oregano, chili powder, cayenne pepper, cumin, salt and pepper), sour cream, mini shells, corn, cheese, tomato sauce, ground beef. You’ll also need garlic, green pepper, and onion. 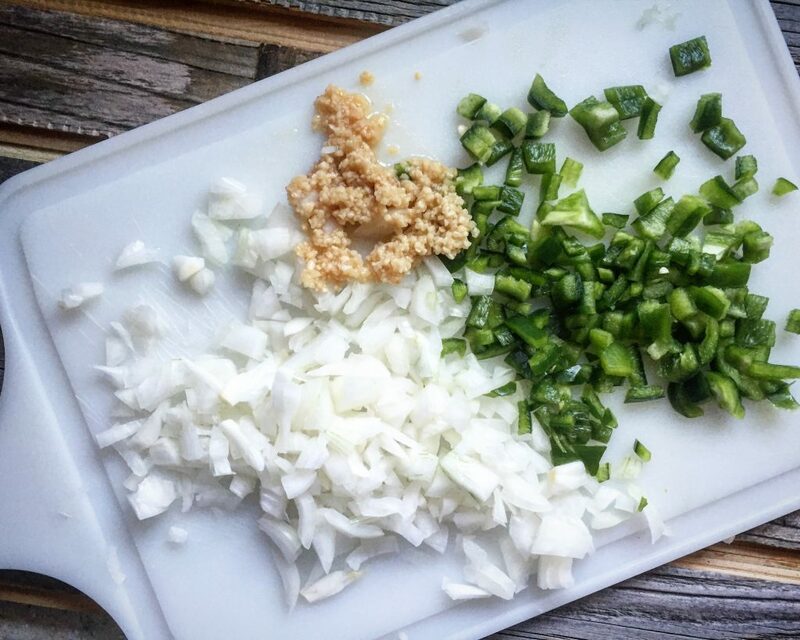 Chop up your onion, green pepper, and a couple tablespoons of garlic or chop up a few cloves. 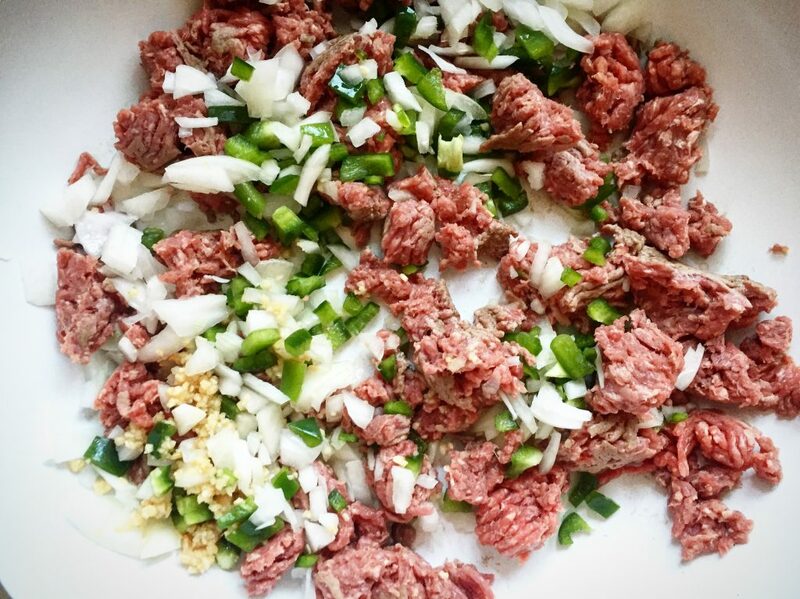 Throw the green peppers, onions, garlic and ground beef in a skillet, and cook together to brown the meat. 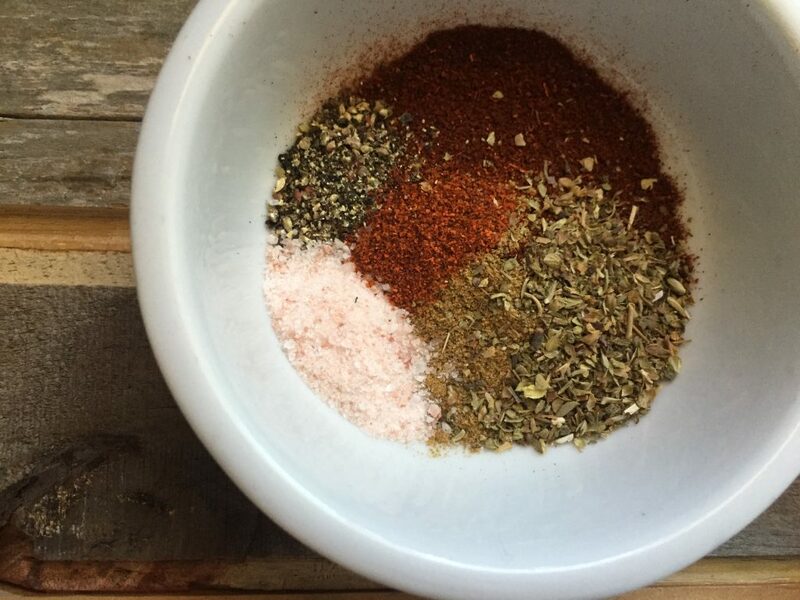 In a small bowl, mix up your seasonings. Here’s my chili spice mix. I kind of winged it by taste, and what I’ve seen Eric do. I’ve got chili powder, oregano, cumin, a touch of cayenne pepper, black pepper, and pink sea salt. 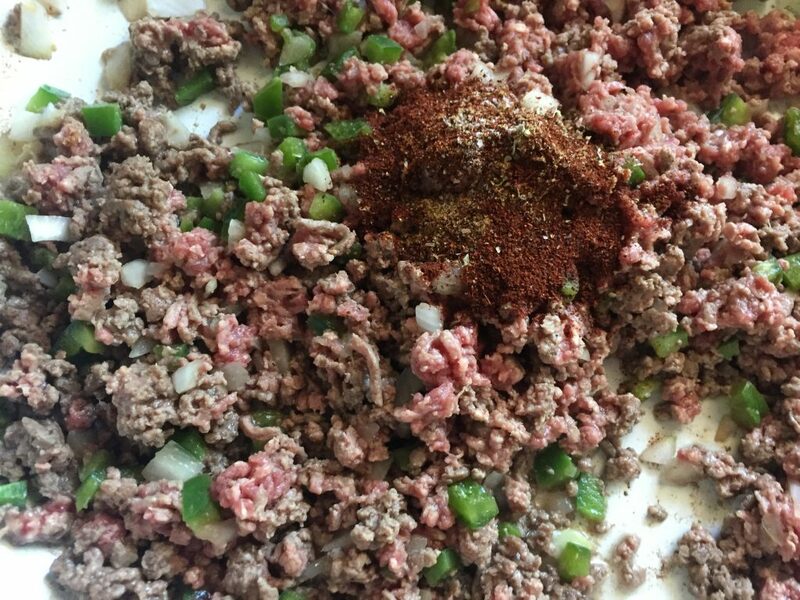 While the meat is browning, throw the spices in the mix and let it mingle with your meat, green peppers, and onions. 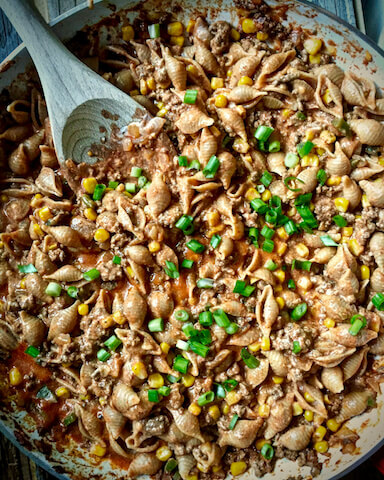 While the beef is browning, boil a pot of water for the noodles. Be sure to add some salt, noodles love salt. 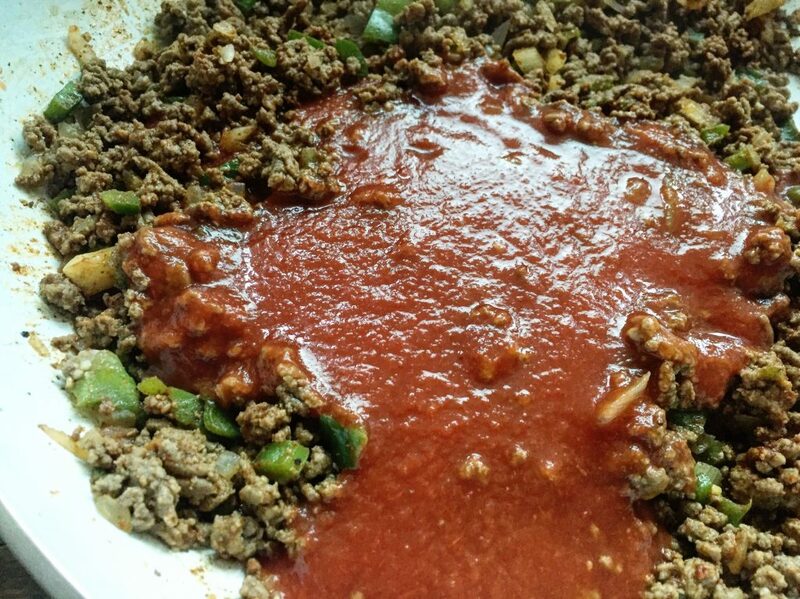 When the ground beef is nicely browned, pour on the tomato sauce. Now stir it together… how pretty! 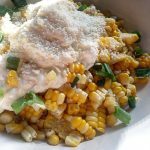 Add some corn, mix together, and simmer while your noodles are cooking. 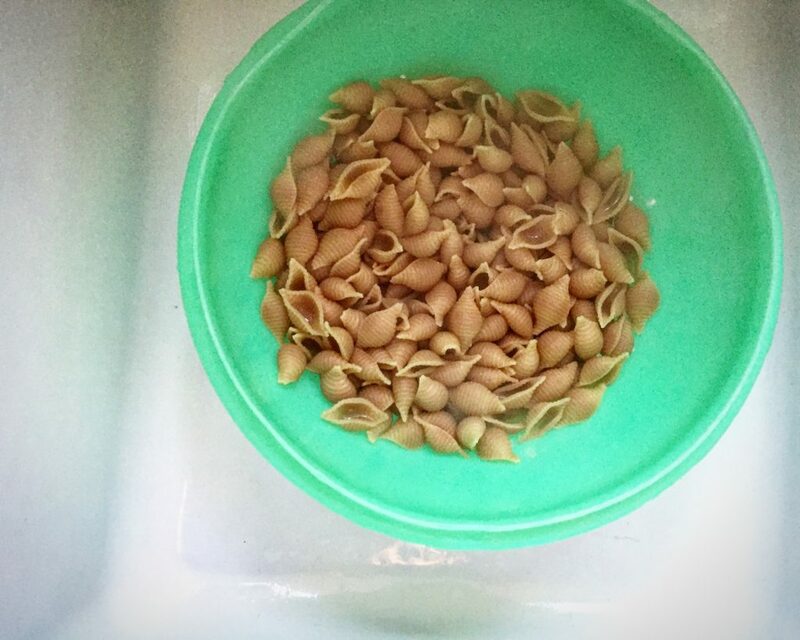 When the noodles are cooked al dente, strain them. Mix it all up together… so deliciously colorful! and if you want to (but you don’t have to), top it with some chopped scallions to add a bit of extra tanginess, and even more awesome color! Oh and I hear it’s the first day of fall today, aka the best day of the year in my opinion. 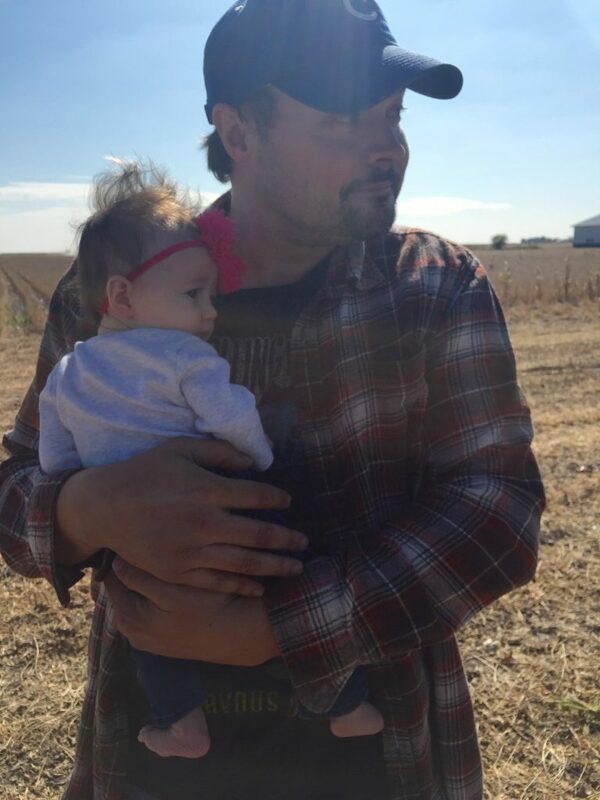 Here’s a photo from right around a year ago… I must say she gets more adorable every day, and her daddy is fairly easy on the eyes too. 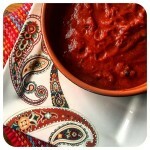 A delicious, healthier spin on classic American chili, great for one and all! In a skillet on medium-high heat brown ground beef with chopped onions, green pepper, and garlic. When the ground beef is mostly browned. Add cayenne pepper, chili powder, cumin, season salt, and pepper. 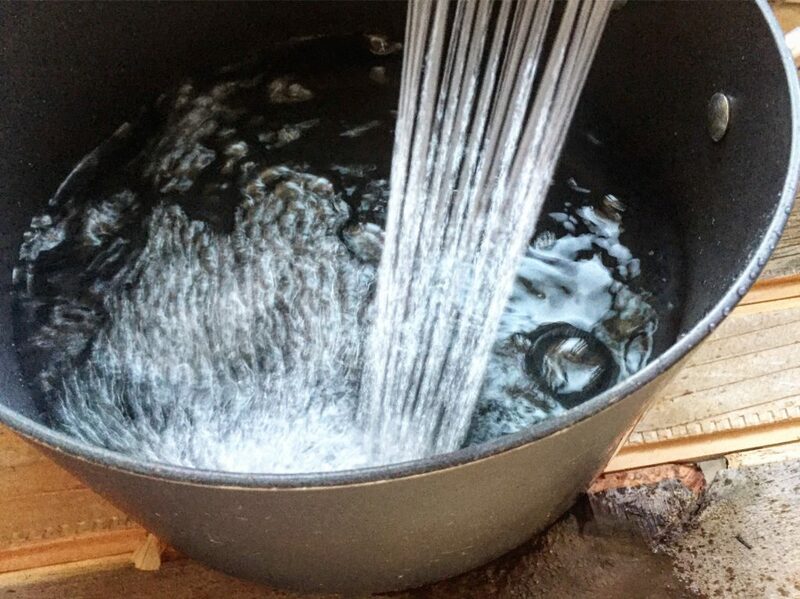 In a large pot, boil water for the shells. Add salt to the water. 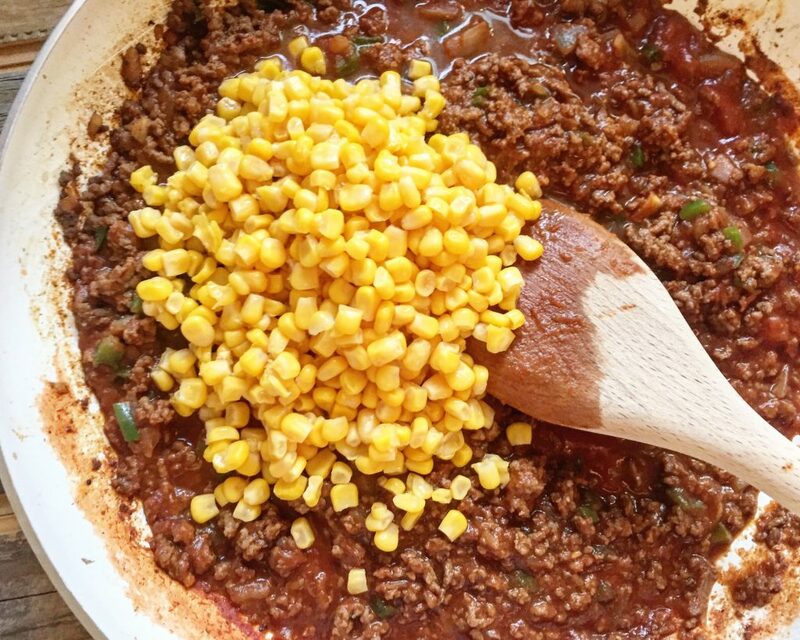 While you wait for the water to boil, Add tomato sauce and corn. Stir together and simmer. While the noodles cook. When the shells are cooked al dente, strain, and add to skillet. Mix thoroughly. Add sour cream and cheddar. Mix together. Serve hot. If you wanna make it extra pretty and don't mind a little extra onion taste, Add chopped green onions for a beautiful color that will impress all of your friends and family. Serving Size: One heaping cup. 8 Smart Points. 5 Points Plus. 245 Calories. 12g fat. 2.5 saturated fat. 15g carbohydrates. 3g fiber. 8g sugar. 25g protein. Hi! I noticed that this recipe doesn’t have the smart points freestyle attached to it. 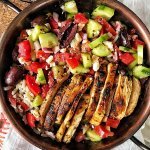 What would this recipe be with the freestyle? Looking to make this next week and I wanted to make sure my points were correct. Thanks! I could only find regular, small shells and reduced fat sour cream but even with the added points, it was WELL worth it!!! 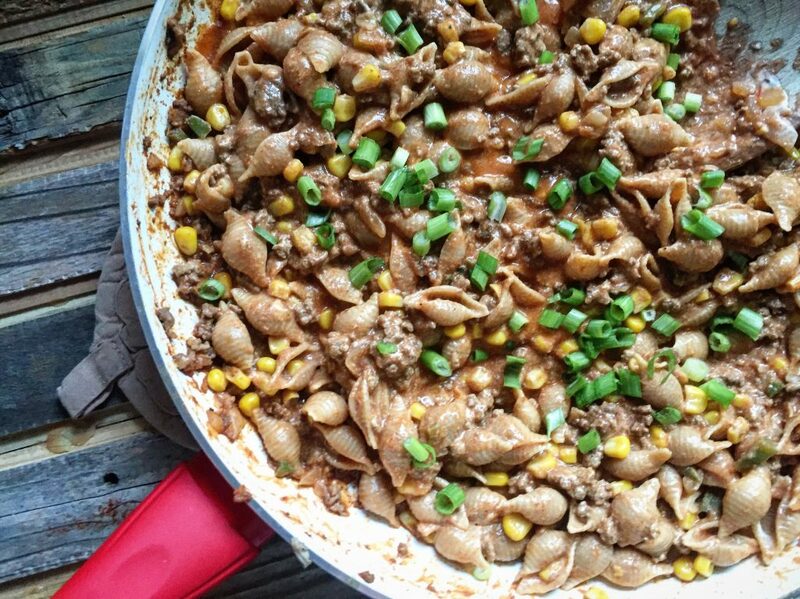 So much creamy, cheesy comfort – and SO filling! Thank you!! so glad to hear you enjoyed! Thank-you so much for this recipe! 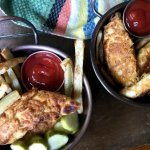 I’ve been looking for easy, tasty dinners to teach my 10 year old daughter to cook with me and this was so perfect and the best part was the family loved it!! So excited to hear that you’re 10 year old helped with cooking this! I’m glad the whole family enjoyed. I sure can’t (but can) wait until Pepper is in the kitchen with me more! This was really easy and tasty plus Boyfriend approved! 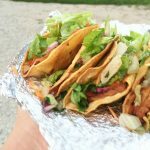 Have tried two of your recipes now(street tacos too) and both were awesome!! Next time I’m going to try subbing pasta for butternut squash noodles because I’m feelin’ crazy 🙂 Thank you for sharing these! Butternut squash noodles sounds really good! It would add a delicious sweetness to the dish. I’m so happy you enjoy! 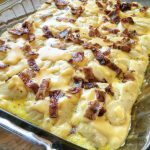 First recipe I made of yours that had me coming back for more! Absolutely love your blog! I’m so happy you loved it! and thank you so much! I’ve got some big ideas in store for 2017. I’m so excited. This is soooo yummy! I will say that I plugged the nutrition into my ProTracker app (for PointsPlus) and it says 7 PP? 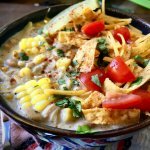 I just stumbled upon your blog from someone sharing a recipe on Instagram, and I am SO glad I did. I am starting weight watchers this week and this is a god-sent. Your recipes look great. Cannot wait to try. 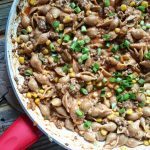 Would pre-made taco seasoning successfully substitute the spices listed? Katy, So happy you enjoyed and yes! I love how quick it comes together. 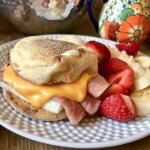 Please go make some more of my recipes and enjoy!! Looks delicious!! About how much is a serving size? A cup? Hi Bridie! It’s a heaping cup per serving. Just realized, I didn’t write that so it is all fixed now. Thanks! I hope you enjoy it! Hi star!! Cumin is on here twice. Making this now and want to be sure I’m not missing a spice. Thanks!! All fixed thanks for letting me know! I hope you enjoy, Shana!! Hi Star! This looks amazing! 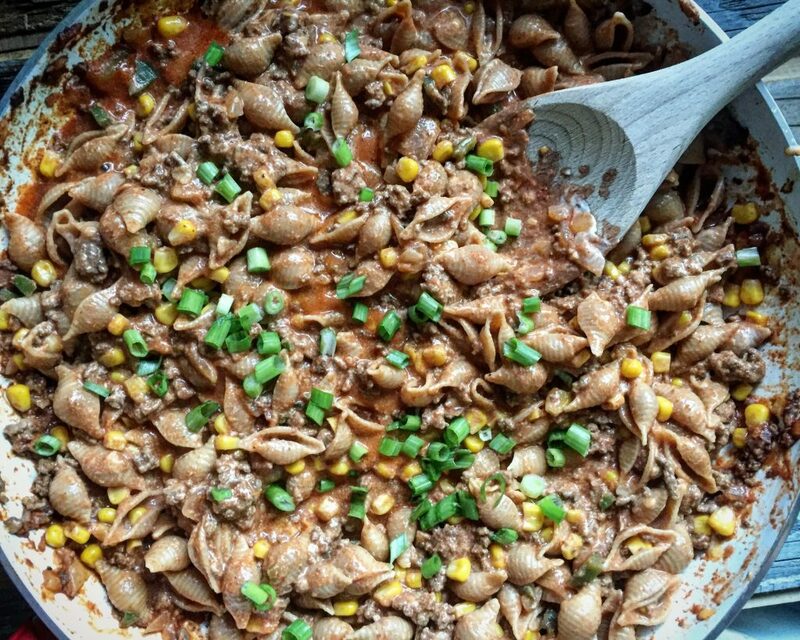 Quick question: what % of lean/fat ground beef do you use? Caprice, Thank you! I used 93% Lean and 7% fat for this recipe. Hope you enjoy! I literally laughed our loud reading your post cause I thought I was the only one that hated the beans in chili. I always pick them out. Thanks for letting me know I’m not crazy. I do not like beans!!!!!!! Love all your recipes.Thank you Thank you, you’re awesome. hahaha! You are NOT alone. Sometimes they can be hidden skillfully in dishes and I’ll eat them, but Nope. I can’t stand them 97% of the time! I hated beans as a child so my mother would put the beans in the blender. 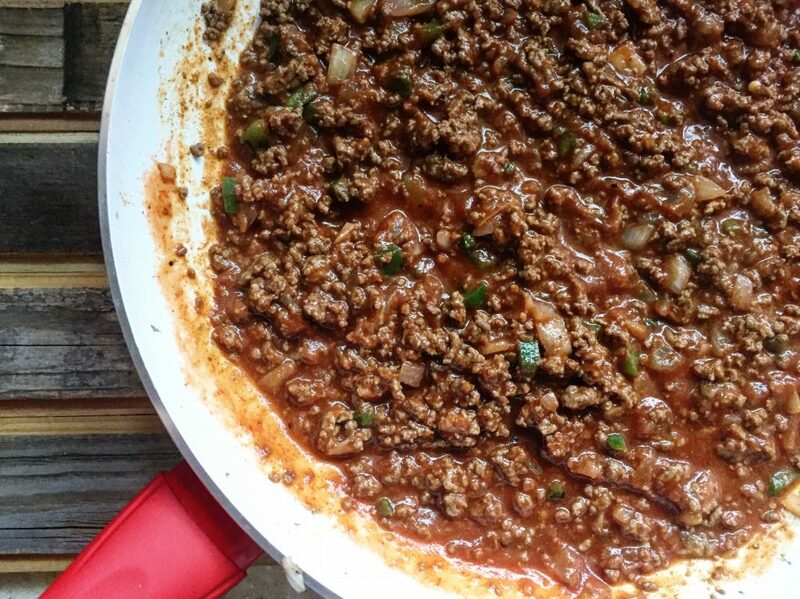 You get the flavor and nutrients and it makes the chili really thick. I never thought of that. That is SUCH a good idea! Moms are so smart!